Is Ramaphosa's Campaign Against Corruption 'Smoke and Mirrors'? War On Graft Is Picking Up Speed. but Will Anyone Go to Jail? Ramaphosa to Implement Recommendations of Spy Agency Report? President Cyril Ramaphosa's proclamation establishing an investigative directorate in the Office of the National Director of Public Prosecutions on Wednesday demonstrates the ANC's "seriousness in uprooting all forms of corruption through tangible action", the party has said. "The ANC believes the establishment of this directorate is a step in the right direction and a demonstration of the ANC-led government's unwavering commitment to root out corruption and deal state capture a fatal blow," reads a statement from acting ANC spokesperson Dakota Legoete. "This proclamation puts in motion an irreversible course in cleansing our nation of the evils of lawlessness, organised crime and actions that seek to capture organs of state. "The ANC called for the establishment of the Zondo commission in order to lay bare all forms of state capture and ensure that all those against whom evidence of criminality is found face the full might of the law," Legoete claimed. In fact, the commission had been ordered in the remedial action of the former Public Protector Thuli Madonsela in her report, State of Capture, and the commission was only appointed after former president Jacob Zuma ran out of legal routes to stop it. "The long arm of the law will reach all those who presided over the looting of the state with impunity," Legoete said. He said it added to the "arsenal of legal instruments" aimed at ensuring public resources are employed for their purpose and advanced the goal of eradicating "perverse incentives for corruption". "We have learnt significant lessons from both the good and bad of the past twenty-five years. Informed by our history of commitment to the people's cause, we are resolved to make this an era of renewal and hope. We invite all South Africans to become part of a nation on the cusp of hope and renewal and join us in growing South Africa." The Presidency said in a statement the new directorate would investigate common law offences including fraud, forgery, uttering, theft and any offence involving dishonesty. It will also be tasked with investigating any unlawful activities relating to serious corruption including offences or criminal or unlawful activities that would have been revealed at commissions and inquiries such as the Zondo commission of inquiry into state capture. 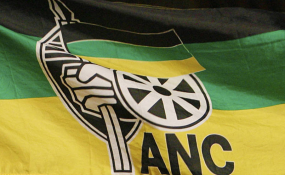 The ANC's list for the upcoming election contains the names of several ANC members implicated at the Zondo commission or other inquiries, including Nomvula Mokonyane, Gwede Mantashe, Malusi Gigaba and Mosebenzi Zwane. The DA has also noted the proclamation, but DA spokesperson on justice Glynnis Breytenbach described it as good as doing nothing at "unless it is backed up by a budget to do the job". "What President Ramaphosa is doing is smoke and mirrors, a very dangerous and disingenuous game. Unless he backs up his big talk with a budget it is as good as doing nothing at all. Unless the NPA (National Prosecuting Authority) is properly funded, it must be clear that the President has no intention of addressing corruption and going after the perpetrators (also in his Cabinet), but is merely trying to create the impression of being serious about it. South Africans should not be fooled, the president talks a big talk, but fails miserably to walk his talk," reads Breytenbach's statement.